1094 Johnson Blvd South Lake Tahoe CA offered at $169,000Awesome Property Contractor Special uninhabitable in its current state. Great location on a 17,250 Square Foot lot with new fencing. Permit in place for proposed alteration. Walls have been taken down to the studs and are ready for you to remodel.Continue Reading! 3920 Larch Ave South Lake Tahoe CA offered at $359,0008/16/13 HUGE price reduction to $359,000 AND Seller credit for Snow Removal- This is truly the Best Tahoe Value at only $186 per square foot. Large Gambrel Cabin located in desirable Heavenly Heights. This home is in town and nestled on the hill, a perfect combo! Only minutes to Heavenly, casinos & Lake Tahoe. A lucky buyer will enjoy this spacious, well maintained home that is delivered fully furnished...Continue Reading! 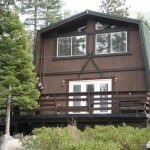 1807 Mattole Ct South Lake Tahoe CA offered at $179,000Commune with nature at fallen leaf lake steps from this charming ol' Tahoe family cabin located in highly sought after spring creek tract USFS. 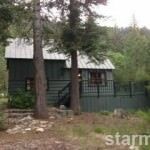 Set on a large parcel on a quiet and secluded cul du sac on Mattole Court at the base of magnificent Mt Tallac. Years of happiness are in store for you and yours from this updated, up graded nearly 900 square foot cabin with all...Continue Reading!